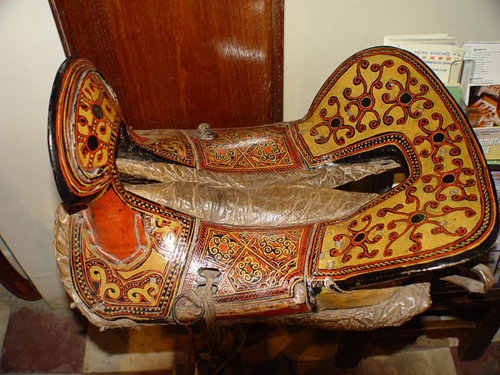 A saddle from the Yi ethnic minority province in Yunnan province, China. The earliest surviving ordinances of the Painters’ Company date from 1283 and show the existence of an organized body. At this time the main occupation of the members was the painting of saddle bows (the arched upper front part of a saddle), and they were originally a branch of the Saddlers’ craft.